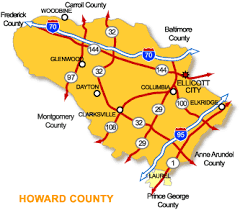 Clarksville is a Super Zip Area in Howard County, Maryland! What is a Super Zip? It’s a new demographic term for an area where residents have a much higher than average income and education level and Clarksville makes that list! The community located halfway between Baltimore and Washington allows for access to some of the highest paying jobs in the country. River Hill High School boasts an incredible 98% of graduates that head to college each year and Howard County is the second wealthiest county in the US according to the 2013 census. The real estate market in Clarksville often has a limited number of homes for sale in a given month. What does that mean for sellers? They tend to get their asking price & their homes do not sit on the market long. Even at a selling price in the $700,000 to $1 million range. What does that mean for people looking to buy a house in Clarksville right now? It means you want to use a local Realtor who knows the market REALLY well. Check out homes on the market in Clarksville right now! Even if you already live here – it’s always a good idea to know what homes are selling for in your area since selling prices affect your home’s value as well! Especially in Clarksville since it is a Super Zip Area in Howard County Maryland and will continue to attract buyers!